Personalised Red Sequin Cushion Cover & Cushion Filler. 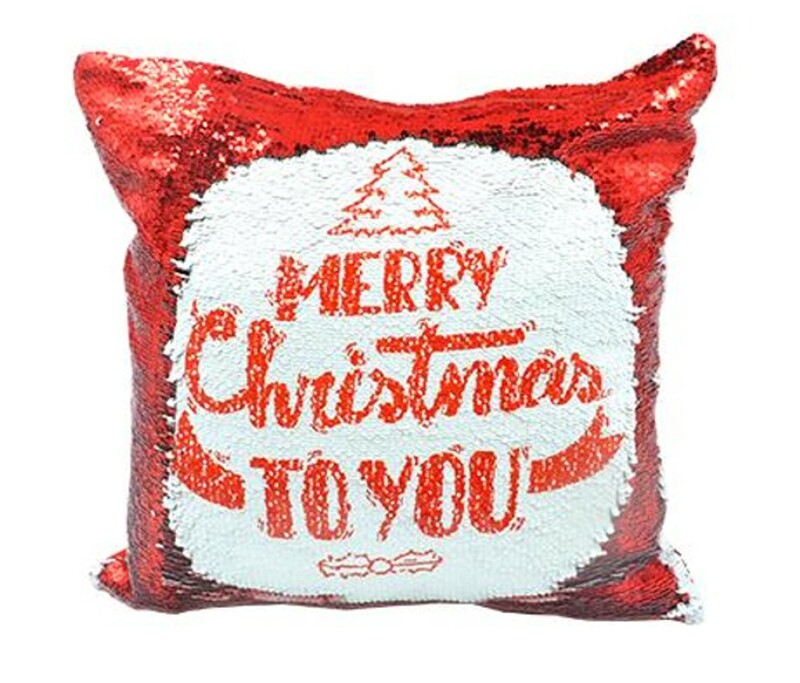 The front of the cushion is made entirely from reversible sequins, one side is red and the other side is white ready for you personalised image and text to be revealed! Personalise the front of the cushion with your image and/or text. The cushion measures 40 x 40cm. The cushion as well as the cushion cover included.